Tennis rackets, diving gear and skis; Steed has prepared for a globe-trotting holiday. He checks he has his passport, tickets and money, has the lights out and paper cancelled. He rings the operator and has his 'phone calls diverted, plucks a carnation for his lapel and opens the front door, where he's knocked out by Proctor (Gary Bond). Tennis rackets, diving gear and skis; Steed repeats all his actions until he finds the carnations are all wilted and goes to the front door. Tara's there this time and she's surprised to see him leaving for a holiday - she has a postcard he sent from Naples and tells him it's not October 14 but November 4. They check his luggage, which contains dirty shirts, souvenirs and a polaroid of Steed with a woman he swears he's never seen in his life. The operator rings back to says they've had the redirection in place for the past three weeks and Steed - and Tara - are concerned about him losing three weeks. Steed visits Dr Meitner (Harold Kasket), a psychiatrist, who tells him amnesia is common, brought on by stress or a blow to the head, and his memory will return when he's sparked enough recollections to have a conflagration that will restore full memory. 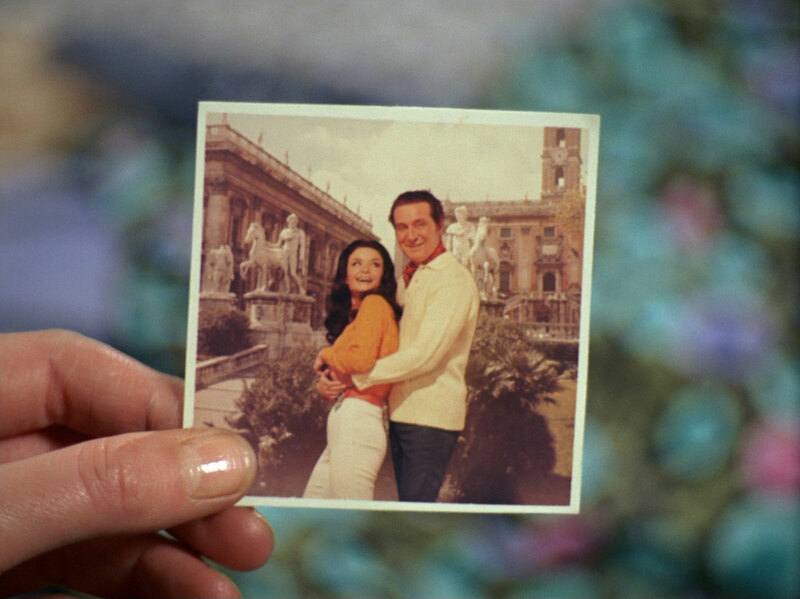 Driving home, Steed asks Tara about any 'phone calls or postcards he sent and when she mentions a postcard sent to Mother from Rome, comparing him to a statue of Bacchus, Steed grabs the wheels and her car swerves across the road until she brings it to a halt. Back at his flat he concedes he can cope with losing his memory, but the deliberate attempt to kill them both for no apparent reason he can't tolerate; he plans to tell the Department and Tara rings Father. Steed enters a dimly-lit office where Father (Iris Russell) awaits him. She tells him forensics are checking his car to see if it's been out of the country. She confirms the 'phone calls to Mother were definitely his voice and she's having every aspect of his case checked. Steed leaves and Father calls in Collins (Howard Marion-Crawford). She tells him Steed is to be removed from the active list, and his security rating reduced to third class. Tara tries Steed out with word association, which triggers a memory of a smiling Chinese weight-lifter. Steed leaves when Tara goes to make some coffee and roams the streets in a taxi, followed by Proctor. He tells the driver (Patrick Westwood) to give up and head for home, then has a spark of recognition and gets out. He wanders on foot, followed by Proctor, who whistles eerily and is apparently invisible to Steed; Steed turns down a side street and is once again knocked out by Proctor. 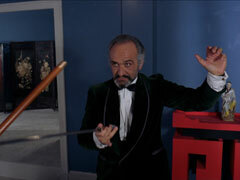 Tennis rackets, diving gear and skis; Steed repeats all his actions until he sees how dead the carnations are. The doorbell rings - it's Tara and they're both extremely worried about Steed's repetition. He draws a sketch of the weight lifter and shows it to Meitner, who thinks it inhuman. He advises more rest - the more Steed worries about the memory loss, the harder it will be to recover, and prescribes a tranquiliser pill. Steed and Tara visit the forensics boffin, Travers (Ewan Roberts) who has found vine leaves, marble chips and mosquitoes that seem to prove the car has been in France and Italy, he even found Italian automotive paint on one of the rear wings where another car must have nudged his. Steed is baffles and repairs to his flat. A young lady arrives, Sally Unstrutter (Denise Buckley), who has come in search of him, racked with remorse for scraping his car with hers - in Fitzherbert Street, London! Steed is overjoyed and kisses her, promising to take her out to dinner. Tara drives him to Fitzherbert St and he finds a door knocker shaped like a Chinese face; he takes cover in a phonebox when a car pulls up and he recognises the girl from his 'souvenir' photo when she gets out, he rushes over to recheck the door, oblivious to the smiling Proctor them jogs around the corner to tell Tara. 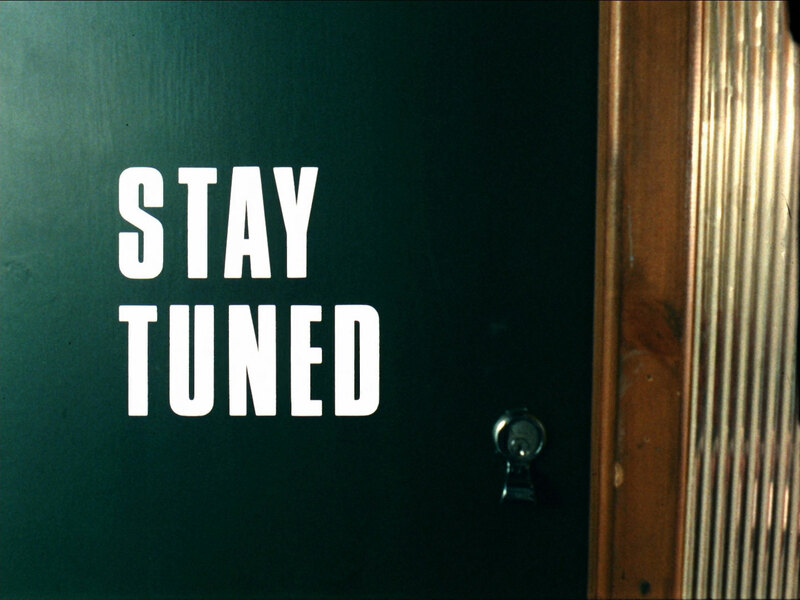 When they return, the door knocker is gone and the man who answers the door denies that a young woman recent entered. Tara thinks he might have been mistaken but Steed is convinced they saw him and resolves to keep investigating. Later, he and Tara make near-identical tape recorded reports, announcing their intention to enter the house in Fitzherbert Street that night. Collins is baffled to see Steed wandering the streets, ignorant of Proctor who's almost tripping over his feet. Steed breaks into Kreer's house, followed by Proctor, and finds the chandelier has gone - although he has a recollection of its constant sound. Steed catches Collins breaking in and learns he's being followed - not just by Collins, but by Proctor who has been his constant shadow during the day. 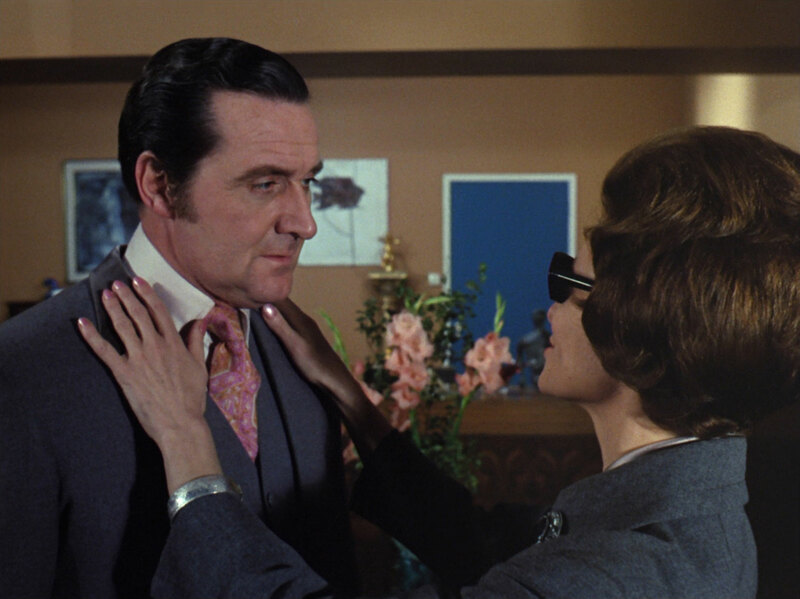 Steed realises Tara had lied about him killing Kreer, and finds the house strangely familiar. Tara is being held in an armchair by Wilks (Duncan Lamont), bound and gagged, behind a two-way mirror while Proctor and Lisa argue about what to do. Steed's just piecing together recollections when Proctor enters. Collins points him out to Steed but to no avail - Collins is killed and Steed is left wondering how he killed a man without knowing. Proctor taunts him, circling Steed and whispering his location, before knocking him out again. Wilks sneers and tells Tara each time Steed tries to break his conditioning he's subjected to the whole cycle over again - he's being conditioned to kill. Steed starts to go through his holiday motions again, somewhat more slowly, and pauses when he sees the now empty vase and his revolver. He hangs up on the operator and calls the Department instead. He demands to see Mother immediately, oblivious to Proctor sitting on the arm of his couch. Proctor reminds him not to forget his gun. 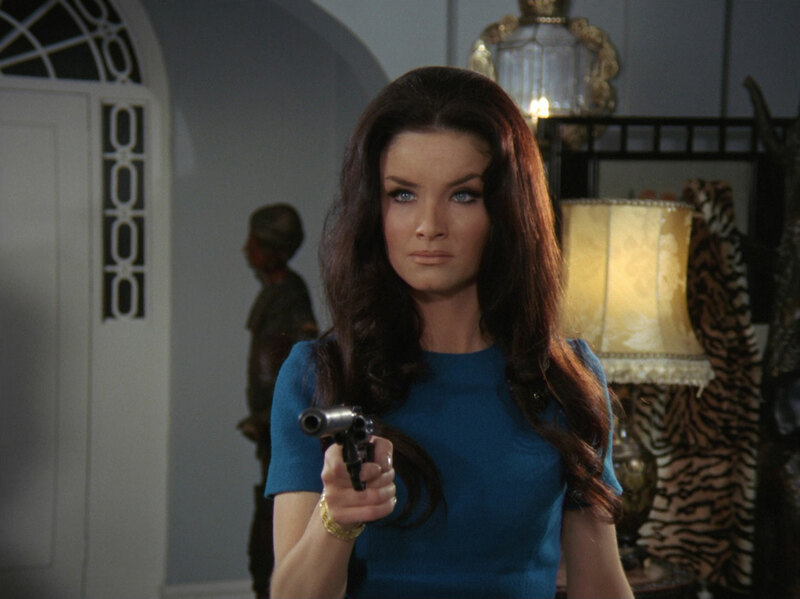 Wilks reveals Steed is to kill Mother and while he's making some coffee Tara tricks Lisa into checking her bonds. She leaps up and disarms her then knocks her out. Steed meanwhile starts spotting Proctor in his rear-view mirror as he drives to Mother's. Wilks returns and finds the door locked. He prepares to punch a hole in the two-way mirror but is knocked cold when Tara hurls a chair through it. 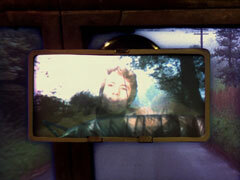 Tara finds a tape ordering Steed to kill Mother when he hears the word "Bacchus". Mother (Patrick Newell) has returned and Steed is telling him he's afraid he may have killed someone - maybe Tara - but has no proof, and has no recollection of meeting Collins. Tara speeds through the countryside while Mother offers Steed a good stiff drink - poured, of course, by Rhonda (Rhonda Parker). Steed declares himself a security risk and keeps seeing Proctor leaning against him car; Tara sees him too when she arrives and parks behind some trees. Mother tries to jog his memory by mentioning the postcard of Bacchus and Steed goes stiff. He draws his revolver, Tara bursts in, crying Mother isn't Bacchus, and Steed fires four shots - cleanly spaced around Mother's head. He departs without a word, goes outside and knocks Proctor down. He climbs into his Rolls Royce and says, "What I need is a really good holiday". 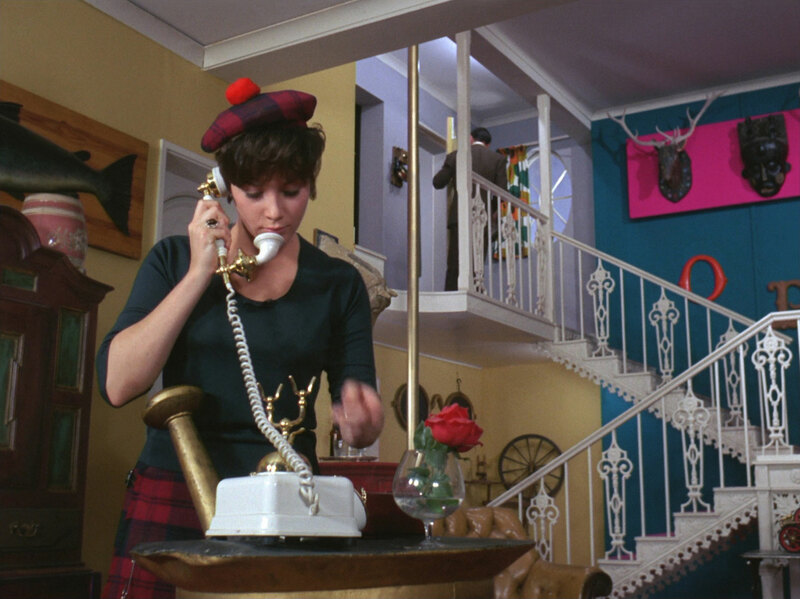 Tara's just about to head off on holiday and is about to divert her calls when Steed arrives. He says they have work to do but she refuses to give up her holiday, he'll have to find an amnesia case instead. When he mentions it's in Bermuda she puts down the 'phone and chases after him with her cases.